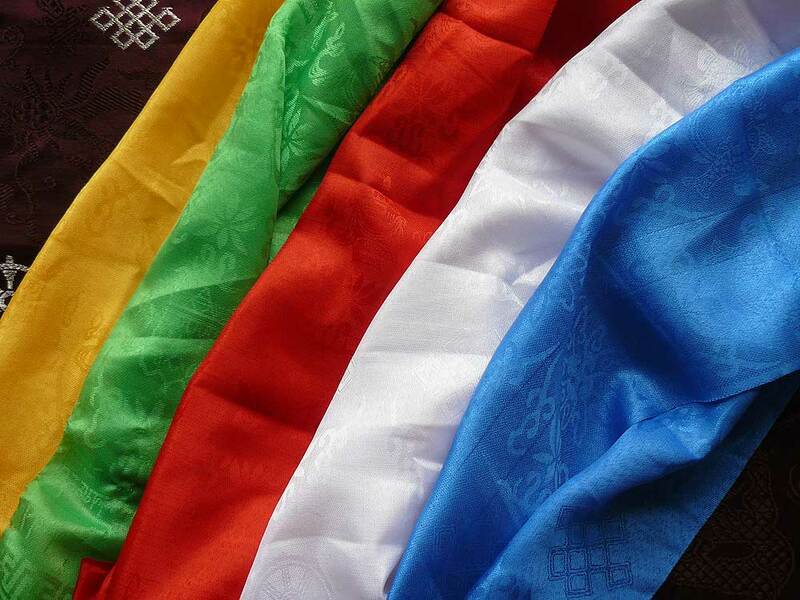 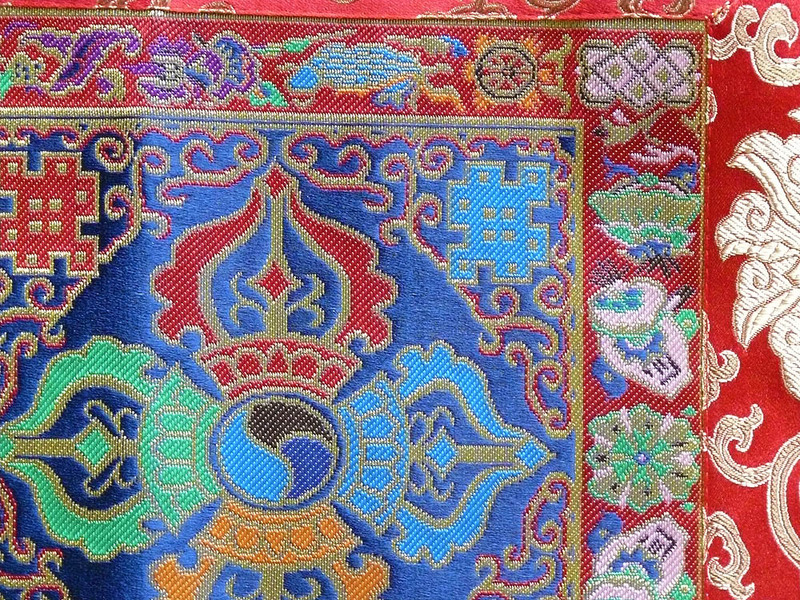 Khadags are a tradition from Tibet which has made its way to Mongolia. 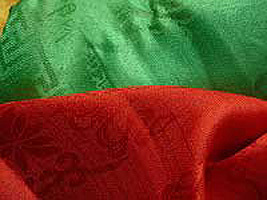 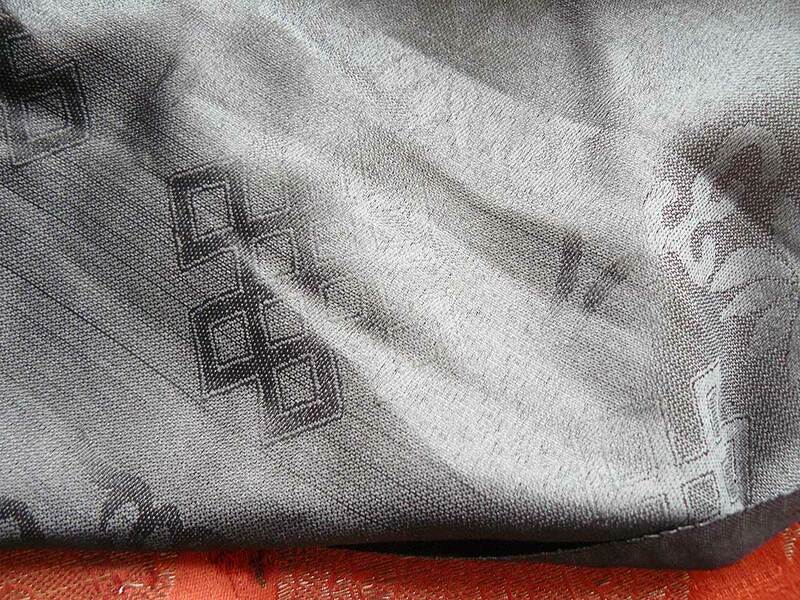 They are strips of cloth, used to tie onto things or wrap things. 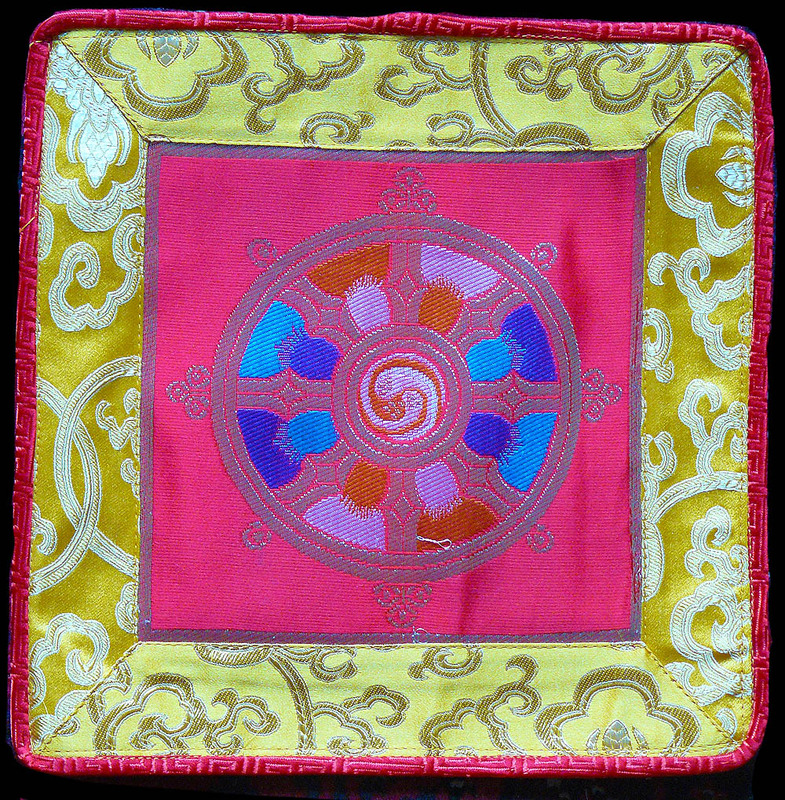 Their five colours represent the five elements of the Tibetan Buddhist 'medicine wheel' system - Yellow = Earth; Green = Air; White = Space; Red = Fire, and Blue = Water. Yellow is the symbol of fire, of permanence, multiplication and immutability. 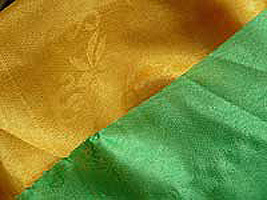 Green is the symbol of the blossoming earth, fertility, awakening and the removal of obstacles. 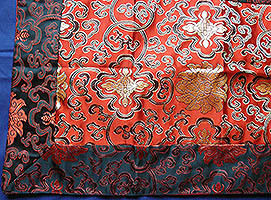 Red is the symbol of metal, security, protection against attack and attraction of positive things. 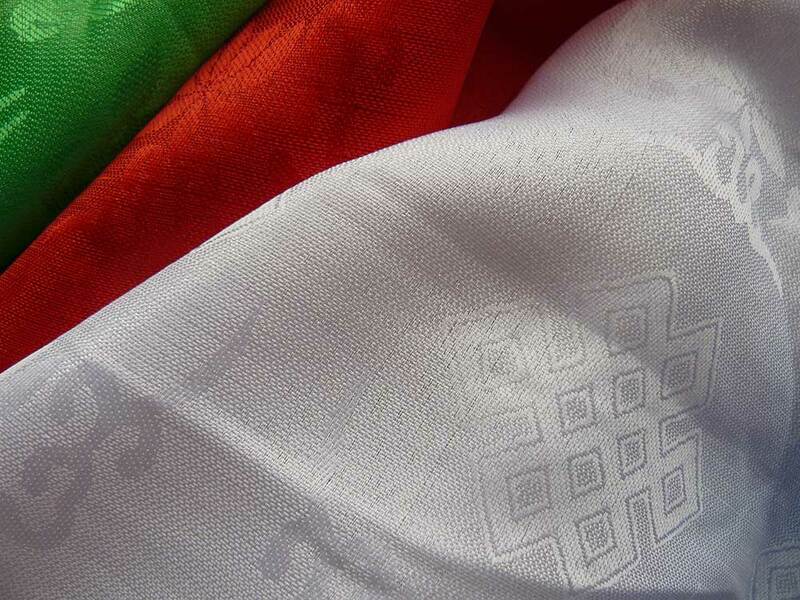 White is the symbol of water, primordial purity, prosperity and kindness. 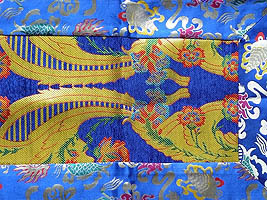 Blue is the symbol of the sky, of harmony and tranquility. 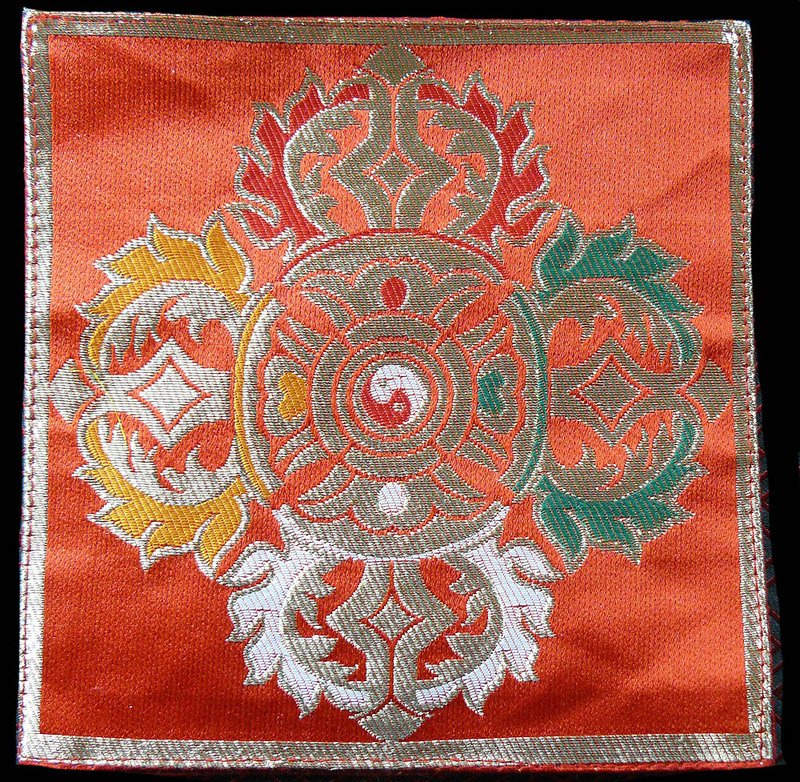 There are also black khadags, used in powerful, wrathful healing work, and white khadags, which are most often used in Tibetan Buddhism. 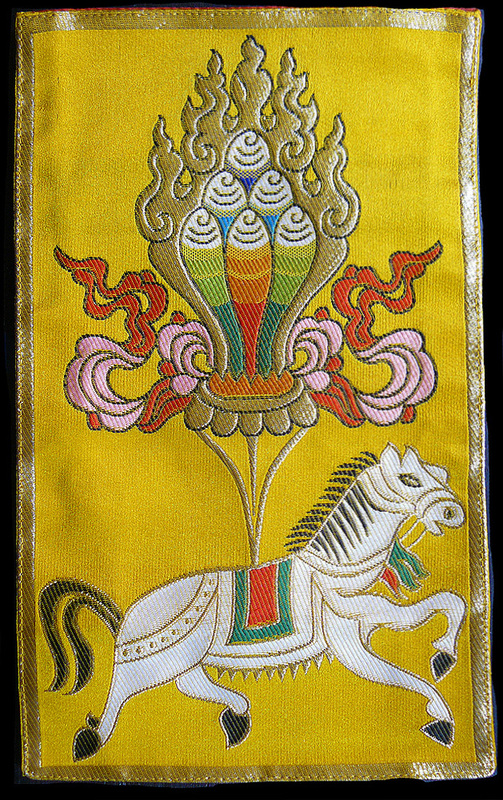 Khadags are made of a silky material - old ones generally of pure silk - and they are very often decorated with ausptious symbols. 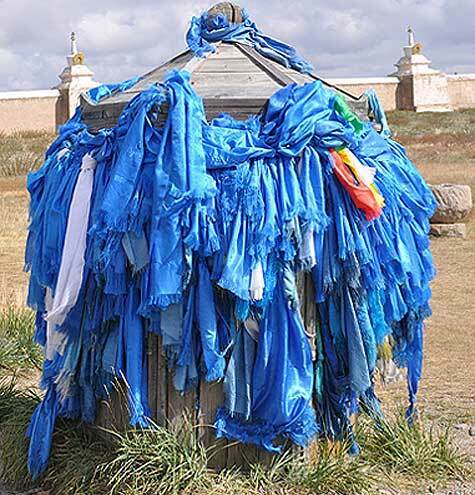 Below: a Mongolian shaman and Ovoo land shrine with sky blue khadags. 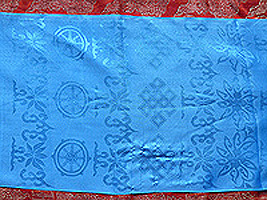 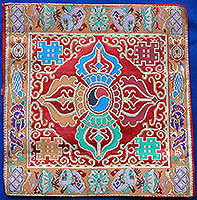 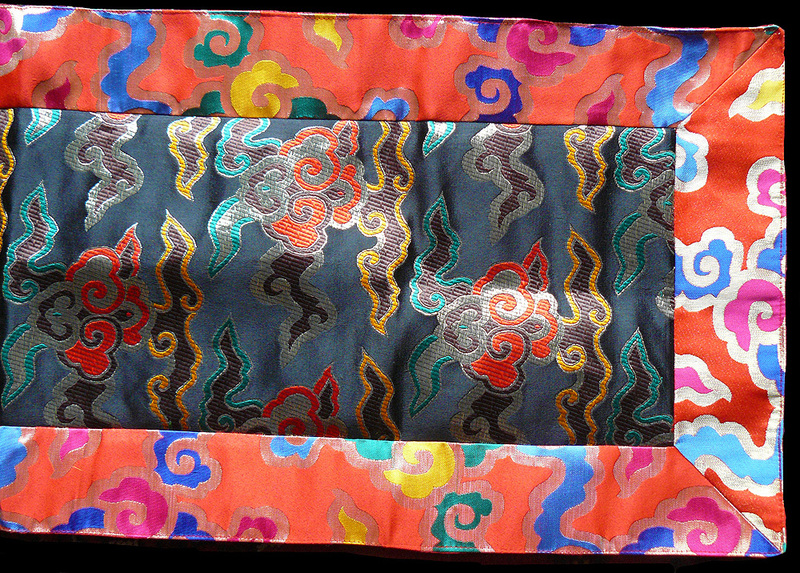 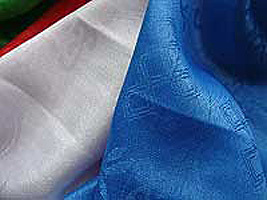 Traditional Mongolian khadag or hadag sky blue offering scarf. 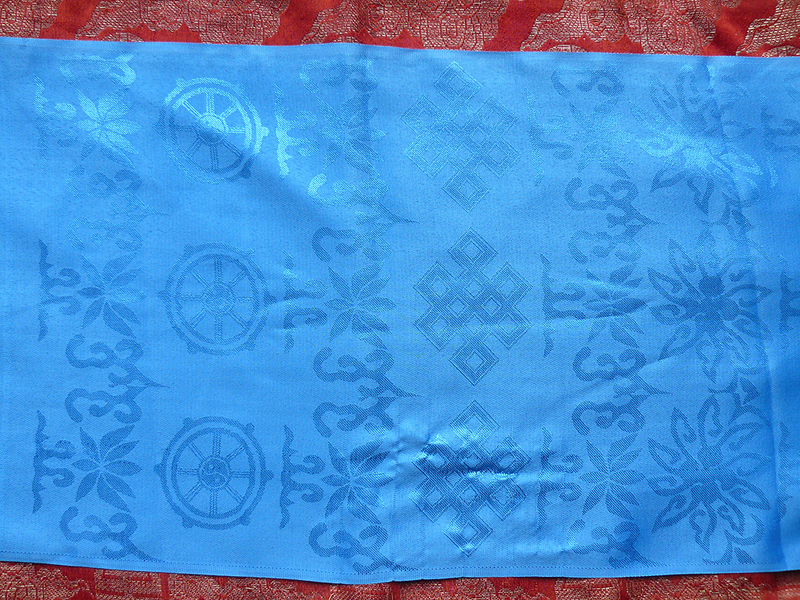 These Blue ones are the most commonly seen sort of khadag because of the shamanic relationship with the sky spirits. 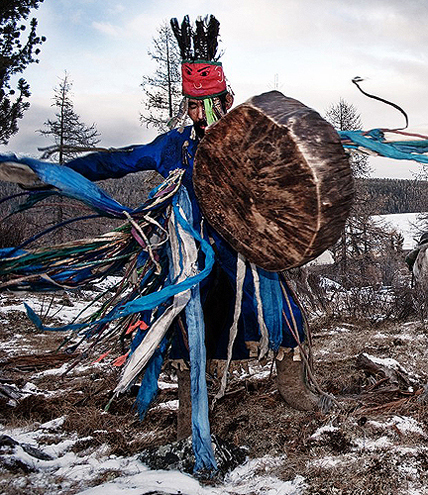 When doing 'heavy shamanic healing' there is a tradition to tie black (buguutey) khadags onto ritual objects, such as whips and drums and other objects, used in the healing work. 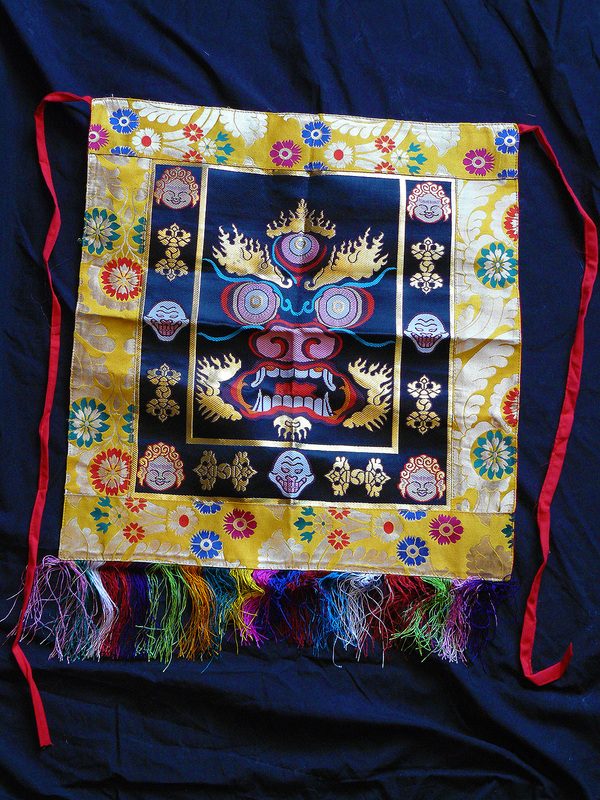 This is a sign of deeply wrathful - aggressive - healing, done without mercy, the blackness symbolises the driving away of the spirits of illness, with no quarter given. 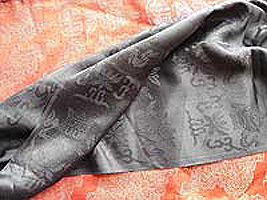 Black khadags are very hard to get, and only used in extream cases. 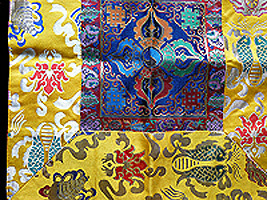 Traditional Mongolian khadag or hadag offering scarf set. 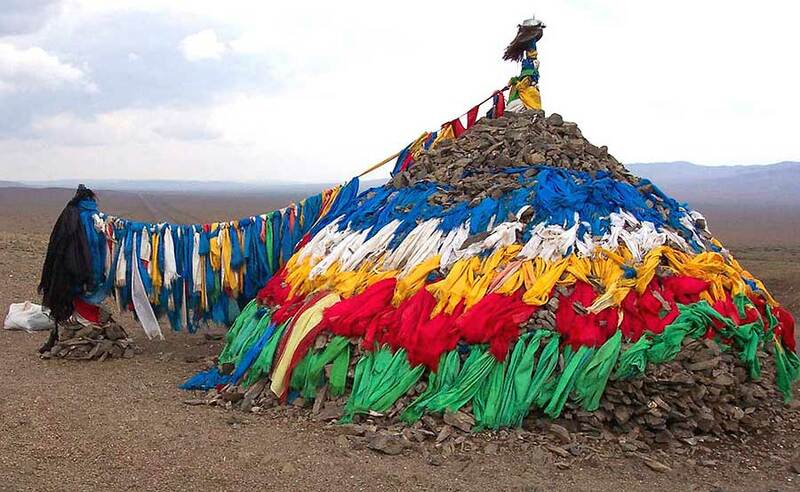 Below: a Mongolian Ovoo land shrine decorated with multicoloured khadags. 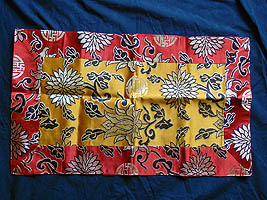 Any creases you see are because they have been folded up, they can easily be ironed out. 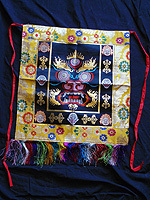 It is traditional in almost every culture to use cloths to build altars upon. 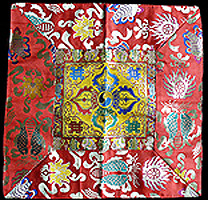 In Mongolia, Tibet and Nepal, Chinese brocade has long been a favourite material, and there are examples of brocade altar cloths going back many centuries. 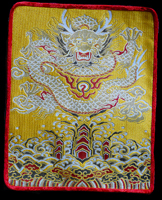 Here at 3Worlds we offer a wide range of traditional brocade altar cloths, made with traditional Chinese, or Chinese-style, brocade. 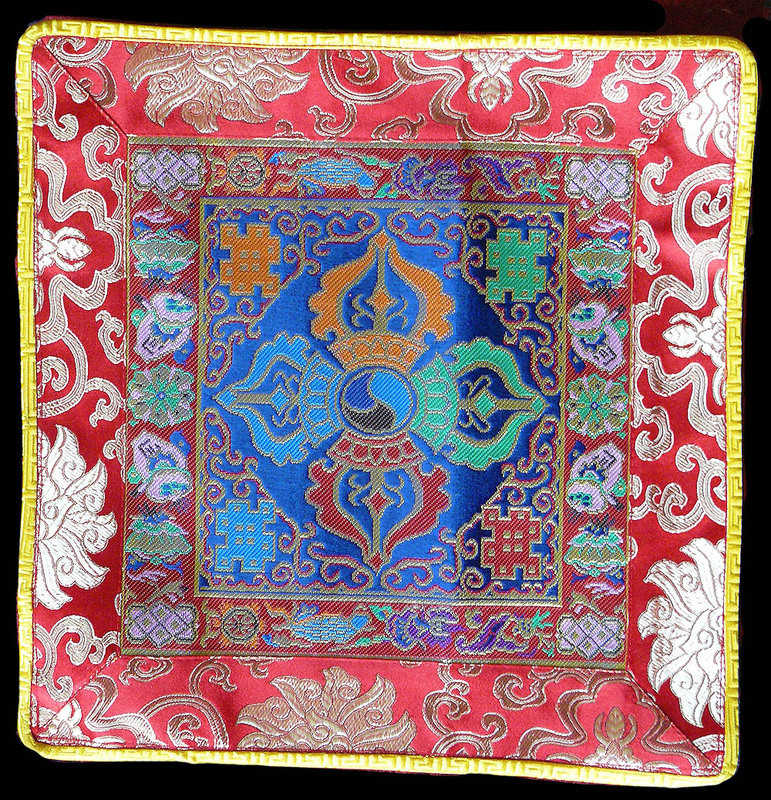 They can be used for altars in your home or shrine room, or for small 'working altars' when you are out and about and need a place to put your sacred objects down upon. 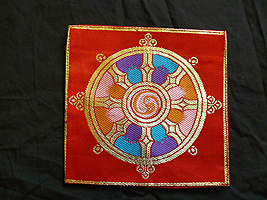 Beautifully made, they are fully lined at the back and vary in size from very small to large. 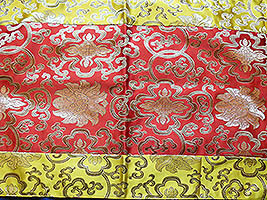 Any creases in the photos are just where the brocade has been folded. 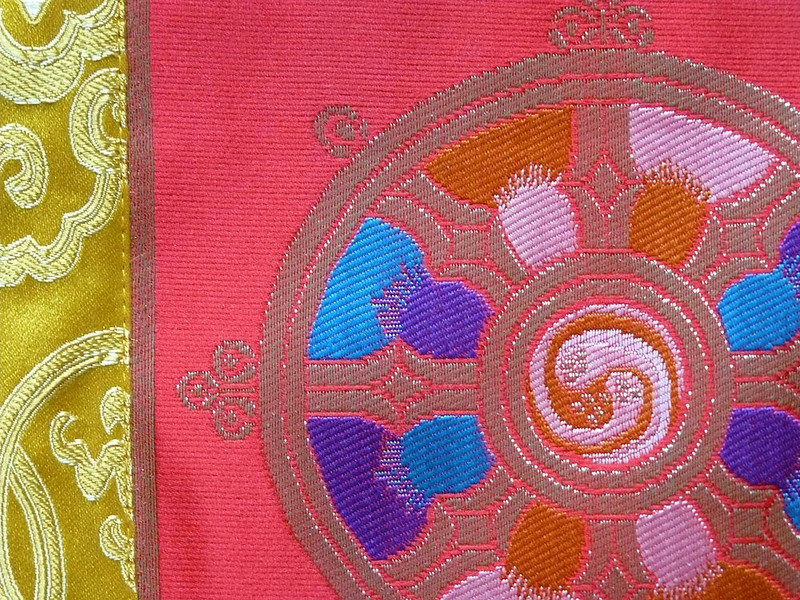 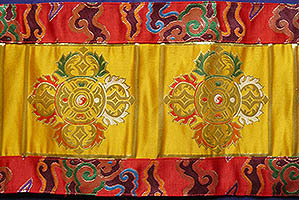 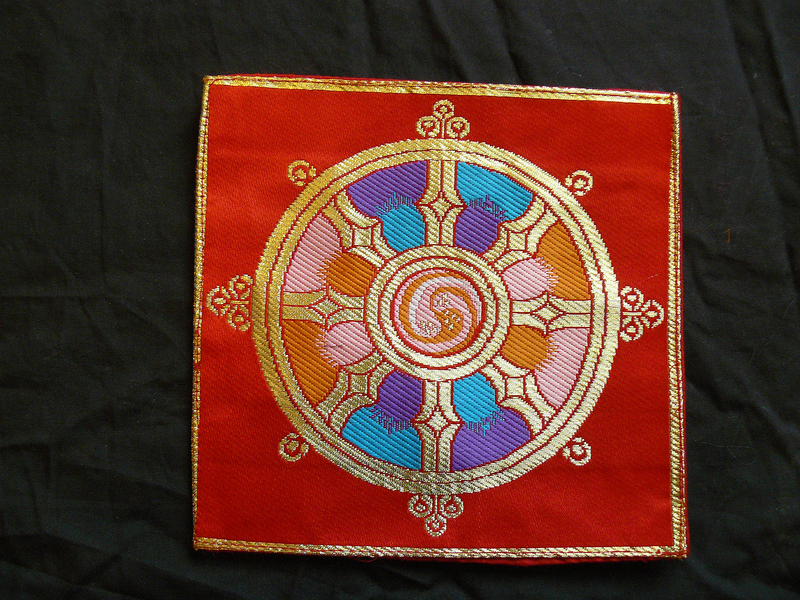 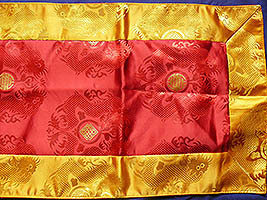 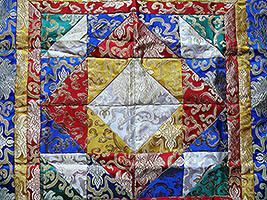 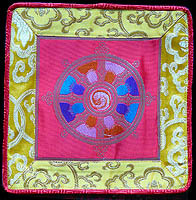 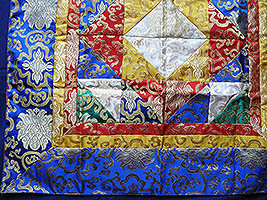 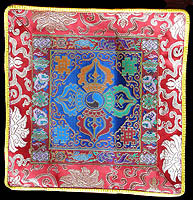 A brocade with images of the double dorje in the centre, representing the four directions. 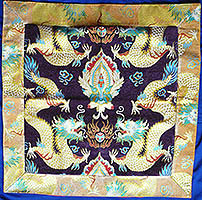 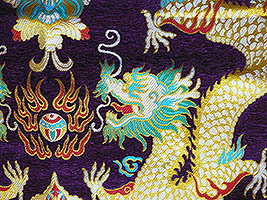 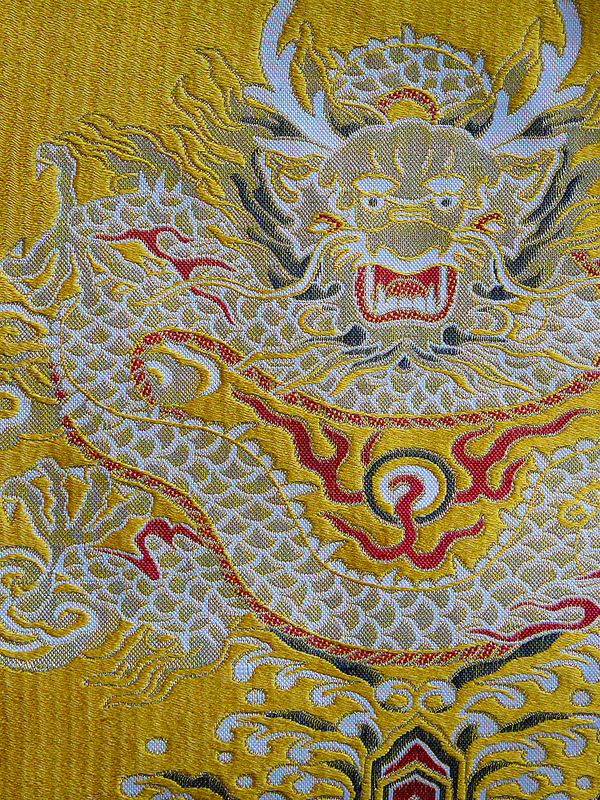 A heavy weight brocade with an image of dragons. 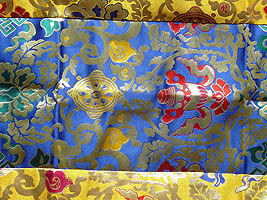 A brocade with a floral design. 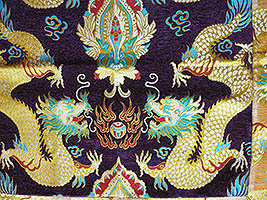 A brocade with a knot of eternity and dragon design. 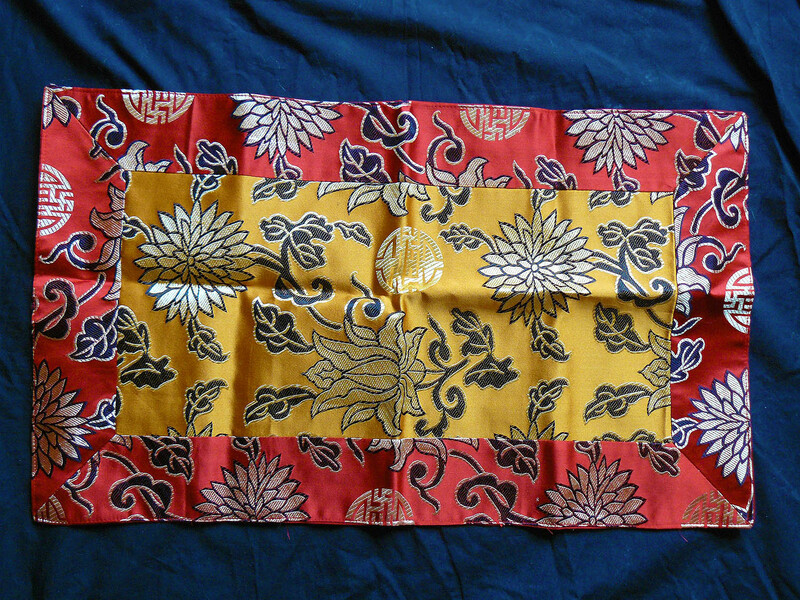 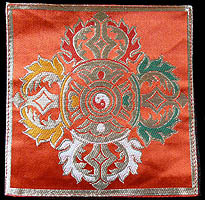 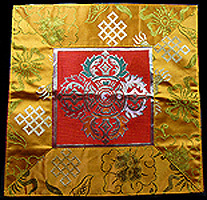 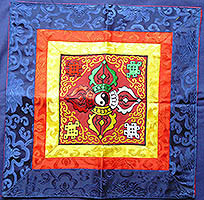 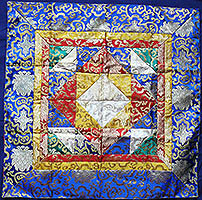 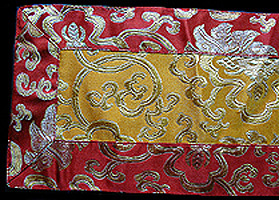 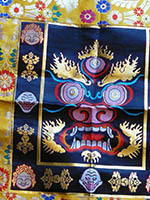 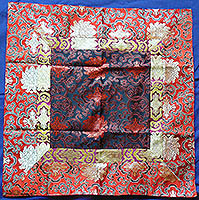 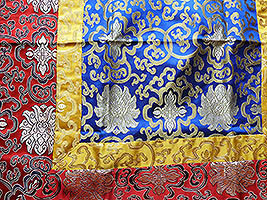 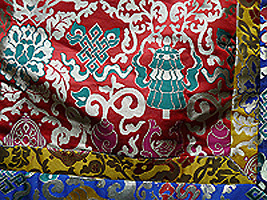 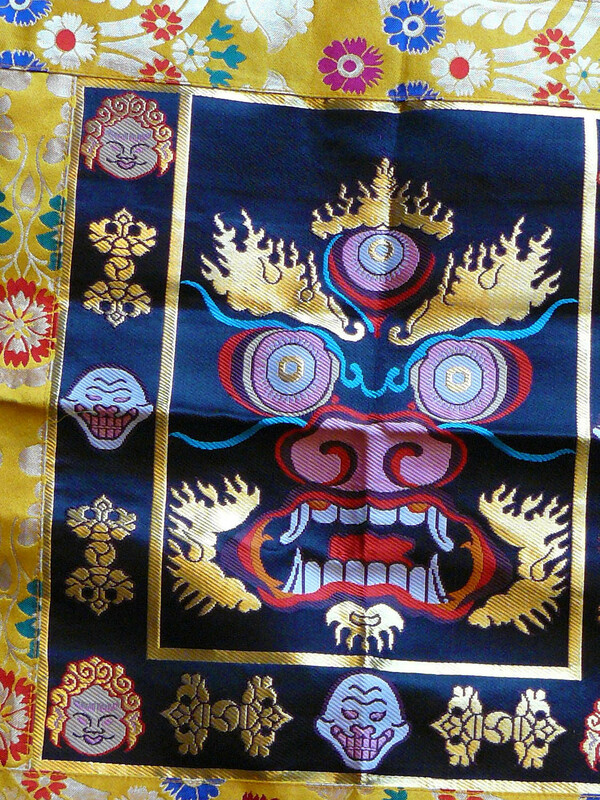 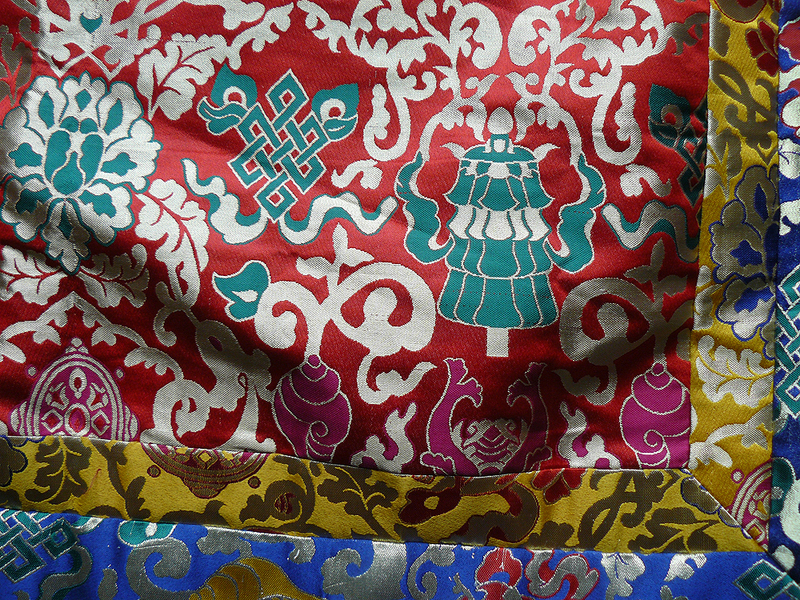 A brocade with an image of the double dorje in the centre, representing the four directions. 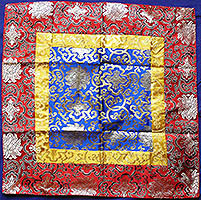 A brocade with complex patchwork design. 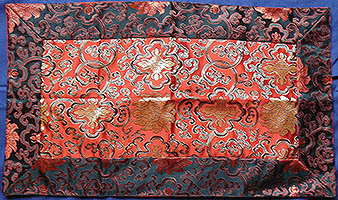 A heavy brocade with a floral design. 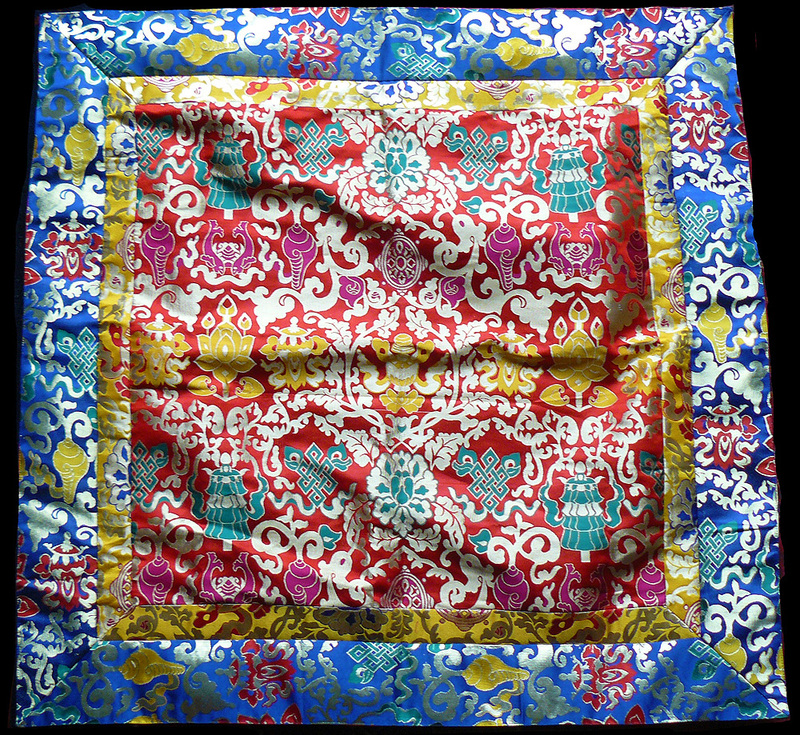 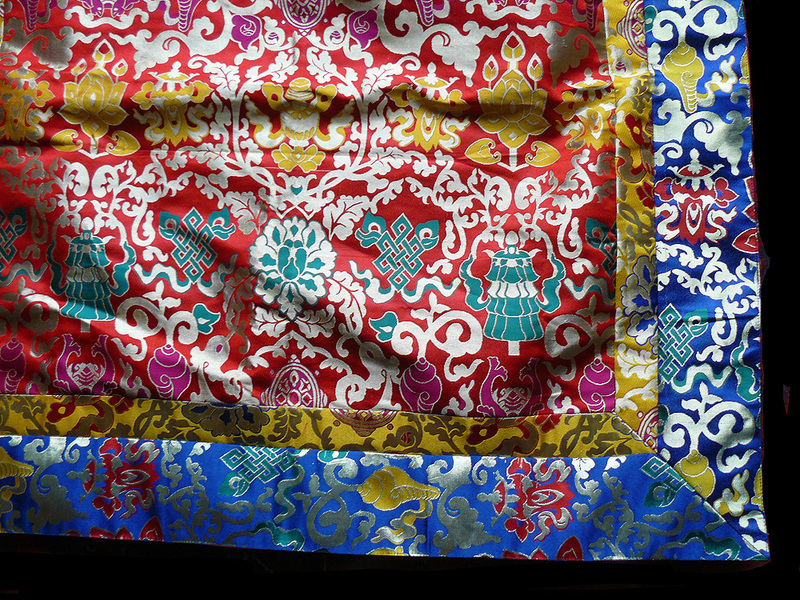 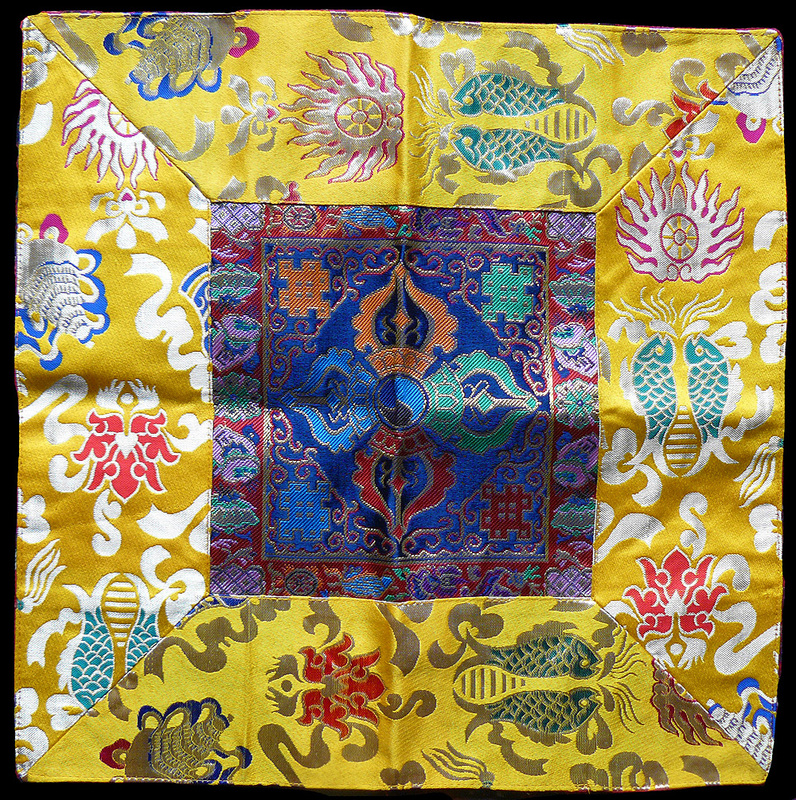 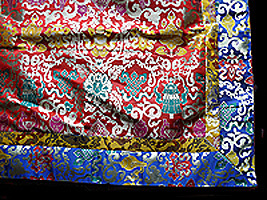 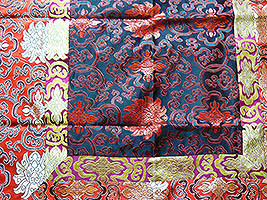 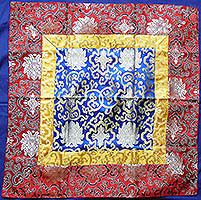 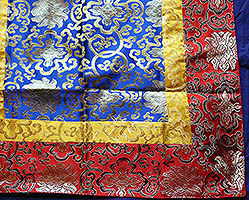 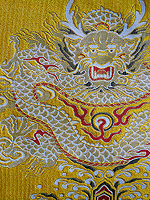 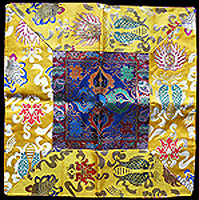 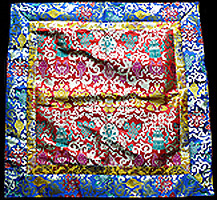 A large brocade with auspicious symbols on it. 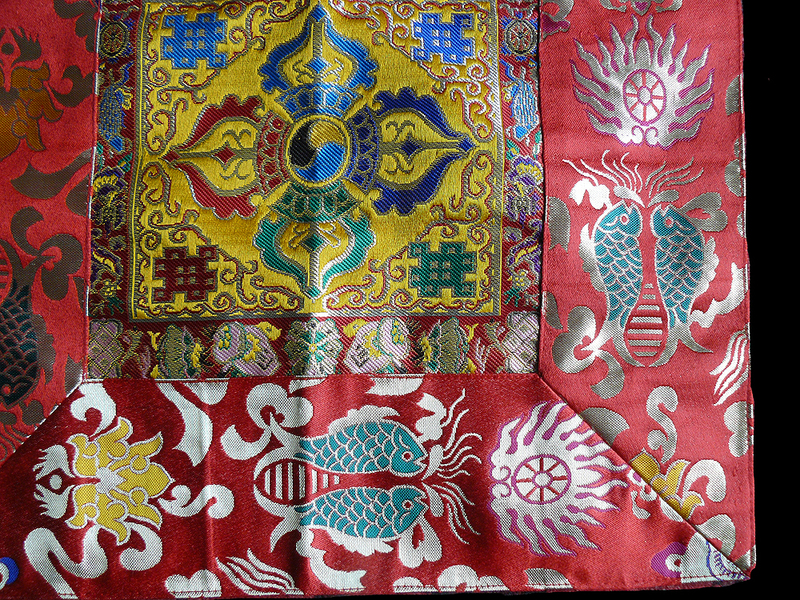 A brocade with a cloud design on it. A brocade with auspicious symbols on it. 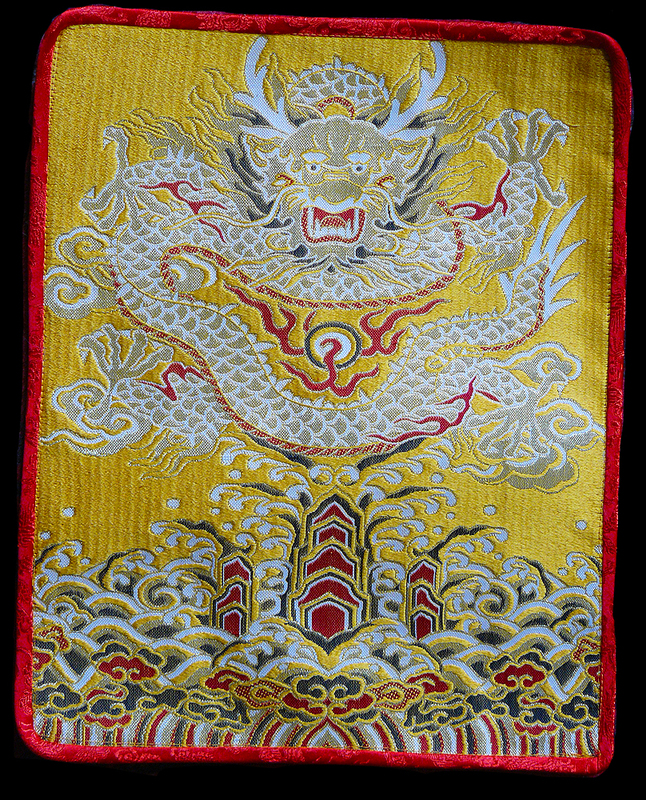 A small brocade with an image of a dragon. 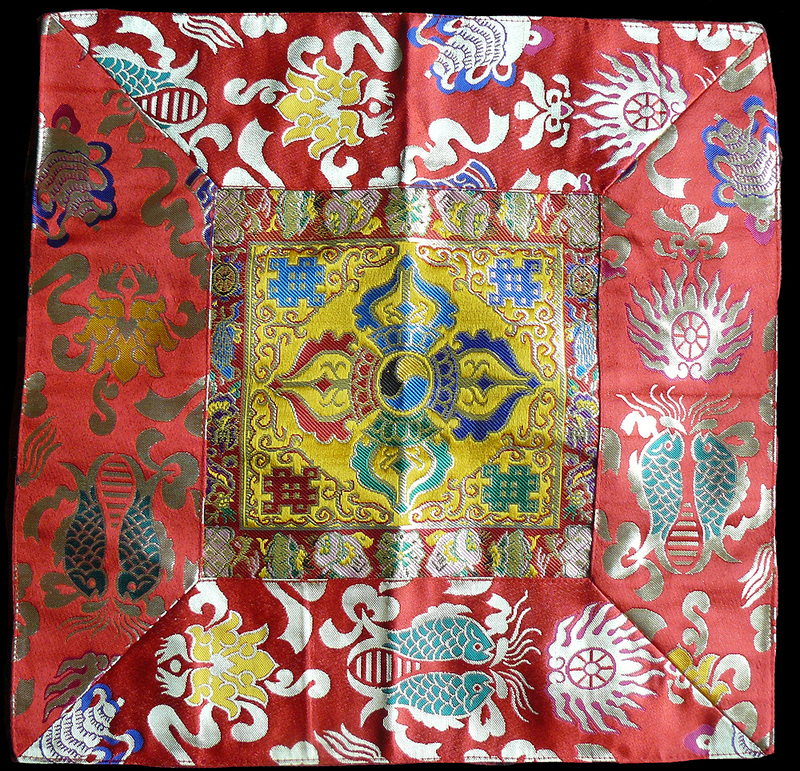 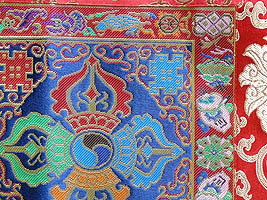 A small brocade with an image of the windhorse - the symbol of shamanic power in Mongolia and Tibet on it. 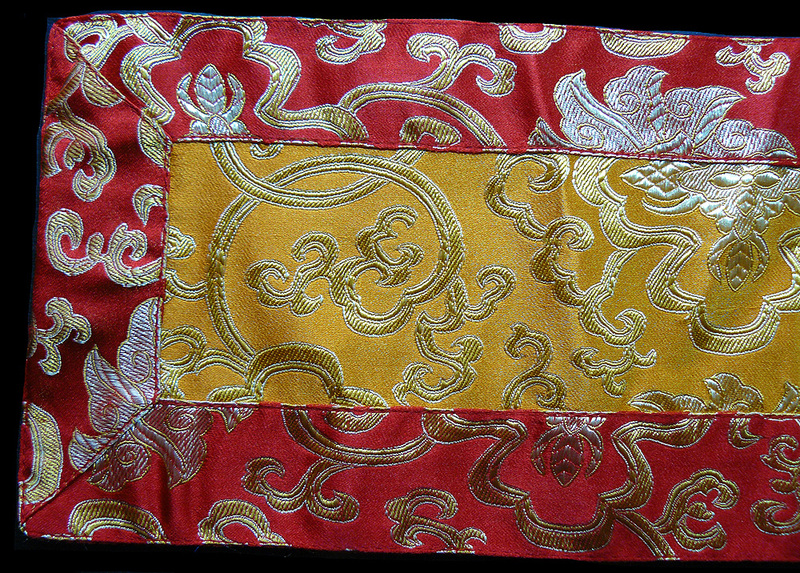 A small brocade with stylised plant forms. 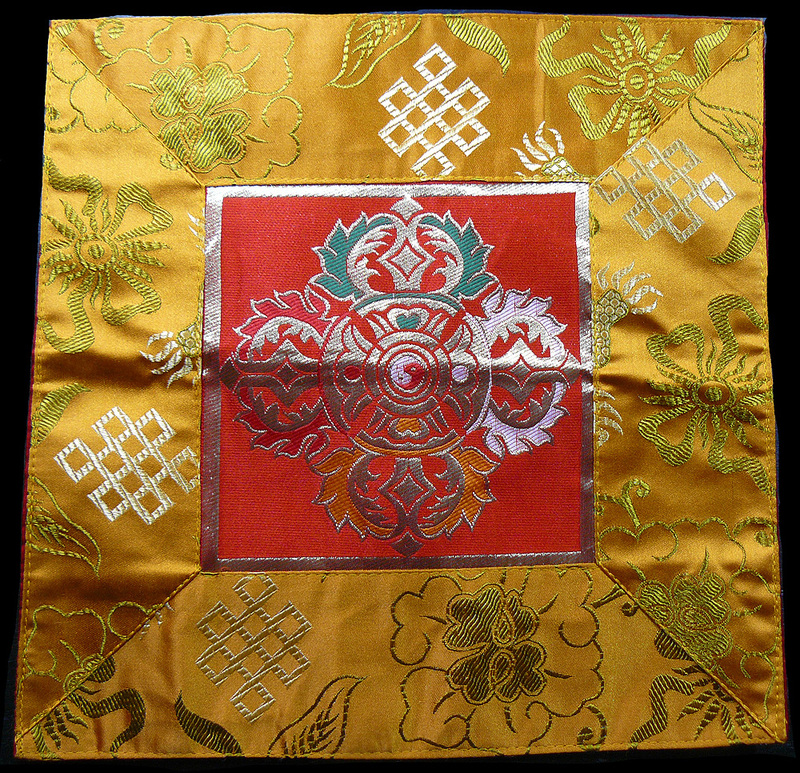 A brocade with a wheel of dharma upon it. 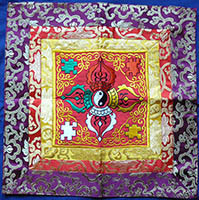 It also representing the four directions.